Fans of the 1987 Robocop certainly weren't fans of the 2014 reboot. The two movies bear very little resemblance, though since its release, newer fans have gravitated to this much-different version of RoboCop starring Joel Kinnaman. And while it wasn't the box office success Sony had hoped for, it has found its audience, picking up steam once it started streaming on Netflix. Now it's being reported that Sony hasn't completely abandoned the idea of a sequel. RoboCop 2, which has the working title RoboCops, is still very much a possibility. The 2014 RoboCop tried to mirror it's predecessor by presenting some big ideas about war and technology, and the times we live in. But it was saddled with a PG-13 rating, and wasn't allowed to go as gloriously over the top as the 1987 Robocop. Some sci-fi fans truly appreciated what it had to offer, though others believe it was always destined to fail as a big blockbuster aimed at a younger audience. However you look at it, it does stand alone from the original and it's sequels as a slight different beast, though it is still a Frankenstein parable at heart. The film was considered a bomb in the states. It only earned $58.6 million off a purported $100 million budget. Though, it fared far better globally, pulling in an international tally of $184 million, for a grand worldwide total of $242.6 million. The movie was a big enough hit overseas that we may see a sequel yet. Though, there hasn't been any active chatter from Sony about a sequel until now, leaving many fans to believe the franchise was dead. Related: Peter Weller to Return as Murphy in New RoboCop Movie? But as Den of Geek has discovered, you can't keep a good cyborg down. Sony has not yet closed the doors on RoboCops. Though the studio is not heavily pursuing the idea of a sequel, either. Sony is, however, accepting pitches from various filmmakers as they try to find a new and unique way to carry the franchise into the future. It is not a high priority. But it may very well happen before the end of the decade. 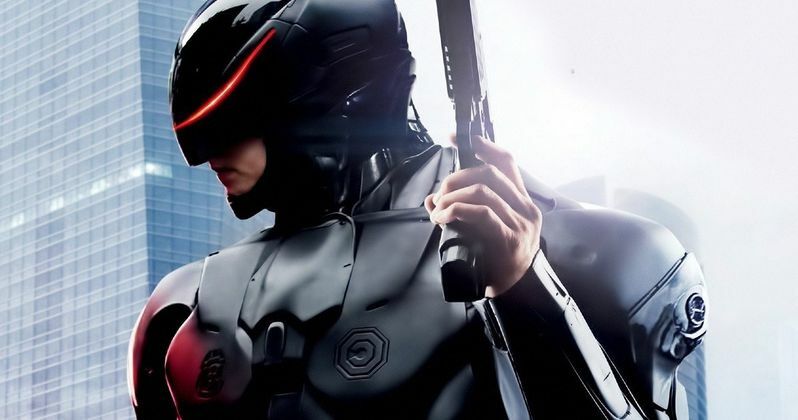 As the title RoboCops suggest, Sony was at one time planning a sequel that would revolve around an army of cyborgs as the human police force is completely replaced. The title is still listed on IMDB, but there is no evidence that Sony is still planning to go this route. Though, with as many sequels, spinoffs and TV series based on the original films as there are (and there are a lot), this is one idea that has yet to be explored. It's believed that if RoboCops does happen, it will be a Chinese co-production. The first reboot took in $50 million in that country alone, almost matching stateside box office. It's also speculated that, because of this, it would make sense to partially, if not fully, set the RoboCop 2 story in China, a thread that is mentioned in the 2014 film. At the time of it's release, Joel Kinnaman was signed to do multiple sequels, as all stars who appear in most franchises are. At this time, there is no indication that Joel Kinnaman will return, or that a follow-up will have much to do with the reboot. It could be another quasi-reboot itself. And the title RoboCops certainly lends itself to that. What do you think? Do you want to see another RoboCop? Or is this one 80s franchise that should stay dead?